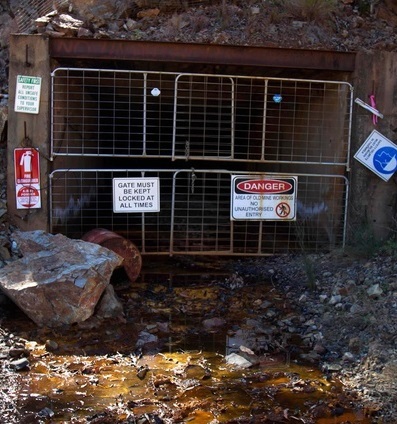 Kagara Proprietary Limited has pleaded guilty to causing environmental harm, after it allowed 650,000 litres of contaminated water from its Baal Gammon Copper mine into Jamie Creek and the Walsh River. The flood at the mine near Herberton, south-west of Cairns, dumped water containing levels of copper 400 times the legal amount, as well as deadly levels of cadmium, lead, aluminium and zinc. Reports say the poisonous spill could kill a large proportion of the river's fish. Magistrate Joe Pinder said Kagara had started operating before certain requirements for water storage were in place, but did note that it alerted authorities quite quickly. The company is currently under voluntary administration and the copper mine is not operational. Baal Gammon Copper paid $80,000 over the event earlier this year. “[The Queensland] government has made sure the owner of the Baal Gammon mine has been held to account over mine water contamination in far north Queensland, and we will not hesitate to pursue any company who fails to meet our high environmental standards during this coming wet season,” the state’s Minister for Environment and Heritage Protection, Andrew Powell said.